China's third-largest island is already a place of great distinction. By 2040, Chongming will be characterized by green development, culture, wisdom and sustainability. By 2040, forest coverage will reach 35 percent of the island's land surface, up from the current 25.1 percent while wetlands will cover 45 percent and rivers 10.3 percent. China’s third-largest island is already a place of great distinction — about a quarter of Chongming remains forested. Organic farming produces vegetables and fruits sought throughout Shanghai. Natural wetlands, fresh air and clean waterways have made the island a favorite getaway for those seeking a respite from the chaos of urban life. By 2040, Chongming will be “characterized by green development, culture, wisdom and sustainability,” said Wang Jing, Chongming District deputy director. By 2040, the forest coverage will be 35 percent, wetlands will cover 45 percent and rivers 10.3 percent. The island offers a scenic, peaceful environment for jogging and cycling. About 220 kilometers of cycling tracks and 42 kilometers of a marathon track along a riverbank will be completed by the end of the year. Along the pedaling and running routes, the environment changes in delightful ways. 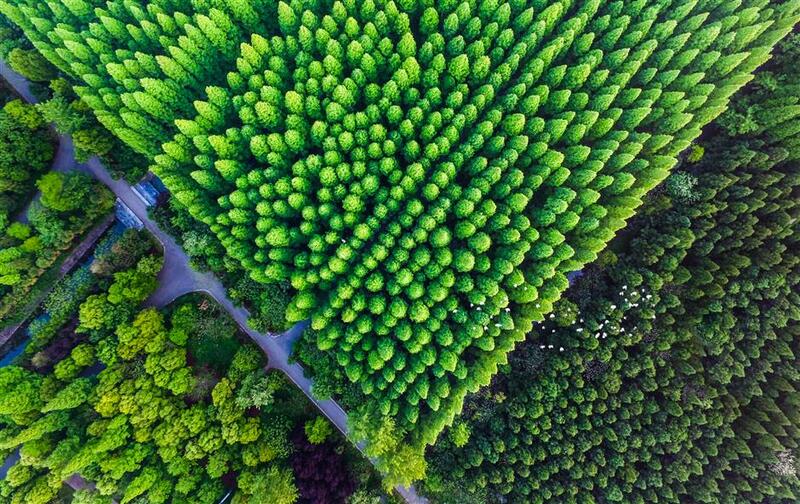 In Xincun village, there is the sweet scent of osmanthus, while Miaozhen Town features maple trees that turn a brilliant scarlet in the autumn. In spring, Zhongxing Town is awash with cherry blossoms. The paths through Luhua Town follow the banks of a scenic lake and pass by tangerine orchards. Changxing Town features a four-season scenic area, complete with four cycling rental stations. About 90 percent of surface water is expected to become usable for agricultre under the island's 2035 ecological blueprint. Chongming has also long been a favorite for birdwatchers. Its protected wetlands are stopover points or wintering grounds for millions of birds migrating between Siberia and Australia. Last November, island officials announced plans to step up the campaign against illegal poaching of wildlife, including birds. “Preventing illegal hunting, including the use of nets and poison, is a priority for the Chongming District,” said District Chief Li Zheng. “The Xisha Wetland on the west side of the island, and Dongtan Wetland in the east are our first priorities when it comes to law enforcement,” said Yuan Gang, director of Chongming’s agricultural Commission and Chongming Forestry Bureau. The bureau has established law enforcement teams at forestry stations and wildlife protection patrols in every village. 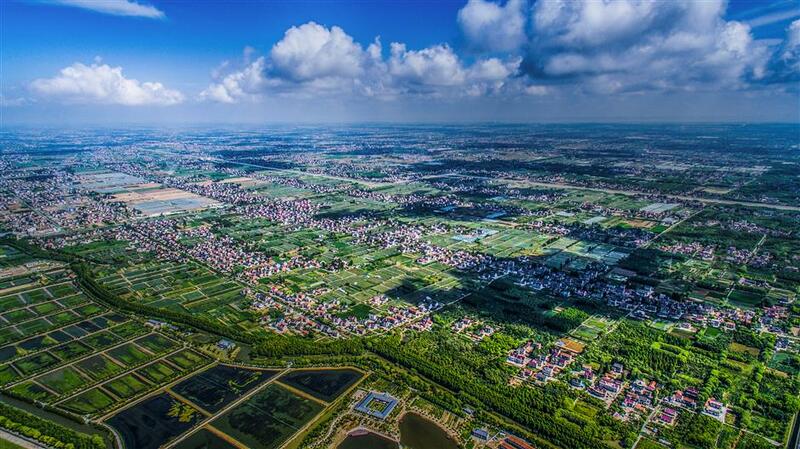 A bird's-eye view of Chongming Island. Chongming Plans to brand itself--and its agricultural products--as eco-friendly under its 2035 blueprint. Last year, the rare oriental stork were spotted again in the Dongtan Wetland Protection Zone. Numbers of tundra swans, mandarin ducks and Eurasian spoonbills are also on the rise. Under the island’s eco-blueprint, its population and land available for com- mercial development will be strictly controlled. The population will be kept to about 700,000 by 2020. All buses will be emission-free by 2020, and 80 percent of travle will be by public transport, according to Chongming's blueprind to become an ecological island.